One of the world’s most successful business and finance cultures, the Jains, revealed their ethics and culture in a new research study completed by Dr. Atul Keshavji Shah and Dr. Aidan Rankin, based on thirty years of community work, engagement and dialogue. 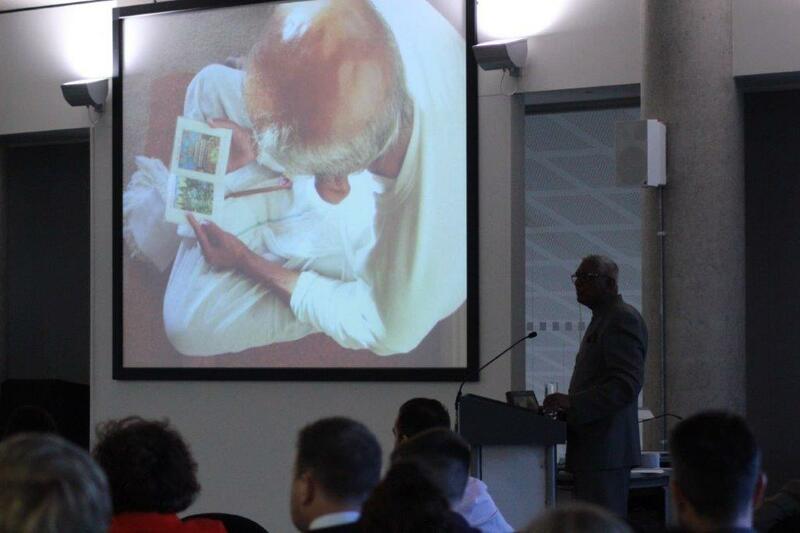 Titled ‘Jainism and Ethical Finance – A Timeless Business Model’, this 176 page book published by Routledge was launched globally at the University of Suffolk in Ipswich at a special event on Tuesday 25th April 2017. Speakers at the launch included Dr. Bharat Shah, the CEO of Sigma Pharmaceuticals, whose business history is featured in the book, and Jain Nuns Samani Pratibhapragya and Samani Unnatapragya from Jain Vishwa Bharti. The book elaborates on the Jain theory of business, showing that the focus is on good and sincere efforts and service, with conduct which is not selfish or greedy and founded on building good long-term relationships with customers and suppliers. 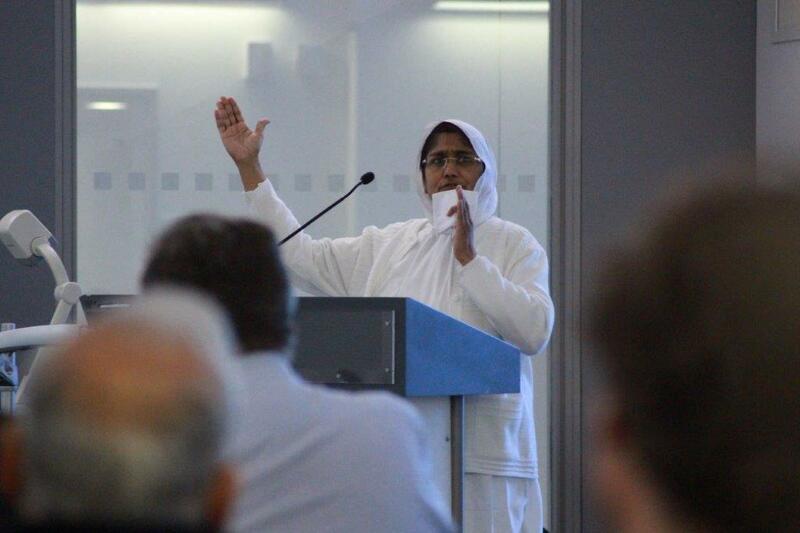 In his speech, Dr. Atul Shah, who has a PhD from the London School of Economics and is a Senior Lecturer at Suffolk Business School, explained how modern accounting and finance education is divorced from faith and culture, and as a result is the cause of untold damage and inequality in the world. Given the huge urgency of sustainable business, the world needs to learn from ancient wisdom traditions who have a multi-generational track record of success. 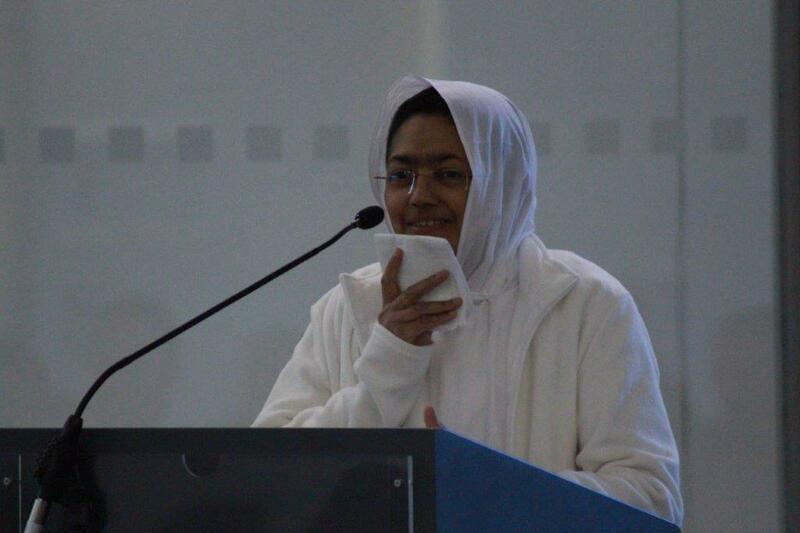 The Jain Nuns explained how Acharya Tulsi and Acharya Mahapragya constantly emphasised ‘anuvrat’ the need for clear vows and discipline in business conduct. Dr. Hedley Swain, Director of the Arts Council, chaired the event and explained how critical it was that Britain learnt from diverse cultures, and allowed them to speak in their own voice. 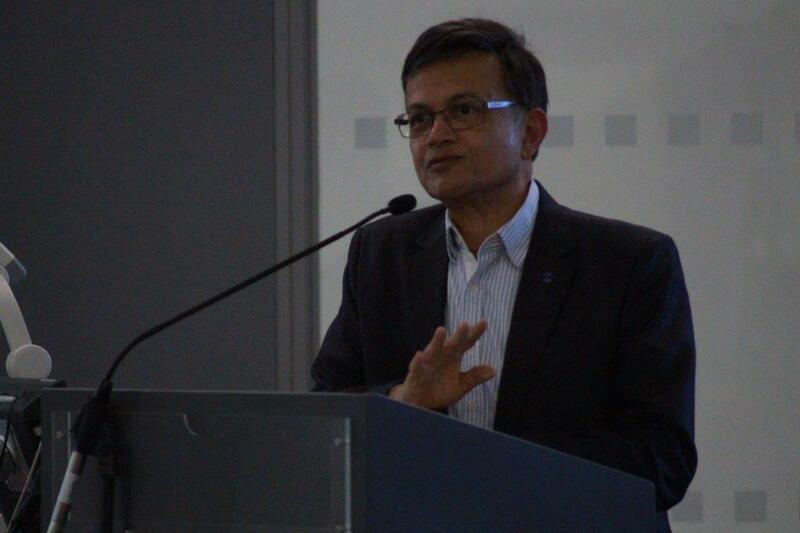 Dr Bharat Shah explained how Sigma’s business growth was organic, and respect for customers and suppliers is critical to their culture. Key strategic decisions were taken after a dialogue with the inner soul, which is different from rational calculation and logical analysis. The book has already received outstanding testimonials from academics from all over the world including Professor Prem Sikka, Professor Dan Ostas, Professor Janette Rutterford and Professor Al Bhimani of the London School of Economics. Mr Dhiraj Shah, General Secretary of Hindu Swayamsevak Sangh explained that this book makes a profound contribution to the western crises in business ethics, opening a new dawn of research drawing from the vast ocean of knowledge that is India. 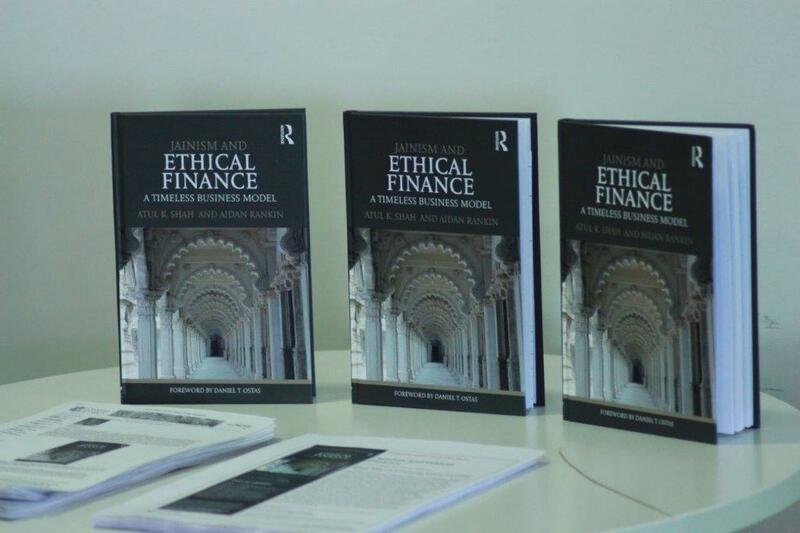 Prof David Collins, Head of Suffolk Business School explained, ‘Dr Shah’s account of finance and ethics is both, unique and interesting because it builds upon an appreciation of the knowledge and experience of the Jain community. The book, therefore, offers a fascinating account of the Jains and builds upon this in-depth appreciation to demonstrate the ways in which this practical philosophy secures an holistic appreciation of the ecology of business and finance’. The book is available as hardback or an e-book from Routledge or Amazon.